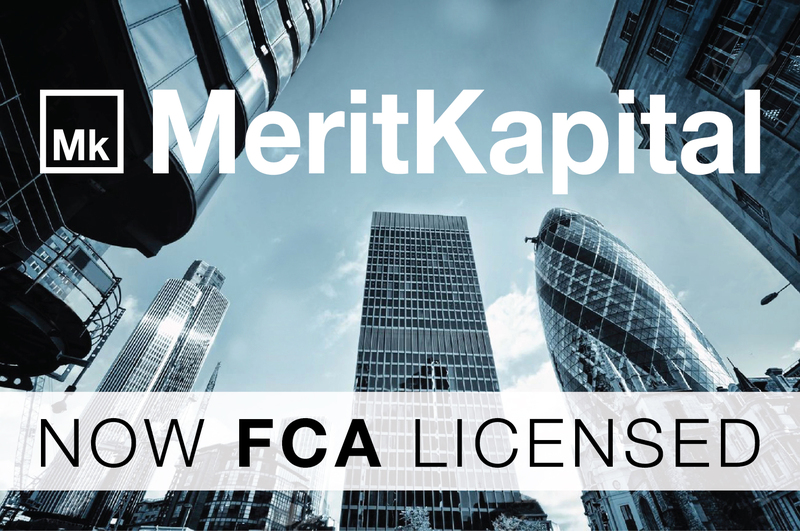 MeritKapital UK Ltd is pleased to announce the approval of its FCA license (license # 720609) to act in its capacity as a matched principal broker in the United Kingdom. Following the recent “Brexit” developments, the company is now secured with the necessary SEC permits to operate both within the EU passporting space as well as the UK. 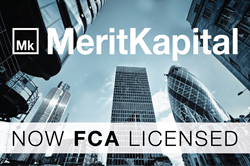 MeritKapital UK Ltd is pleased to announce the approval of its FCA license (license # 720609) to act in its capacity as a matched principal broker in the United Kingdom. MeritKapital UK Ltd is affiliated with CySEC-licensed MeritKapital Ltd (#77/06, Cyprus) by means of common shareholders. The management team of MeritKapital considers this expansion opportune due the advantages that a large capital markets center such as London has to offer. These benefits include the wide network of buy-and sell-side counter-parties, the wider pool of talent that an FCA licensed firm can attract and the firm's ability to capitalize on London's sophisticated financial infrastructure. Following the recent “Brexit” developments, the company is now secured with the necessary SEC permits to operate both within the EU passporting space as well as the UK. MeritKapital will maintain its focus in the fixed income sphere, particularly within emerging markets, where it has established a strong niche presence. This is evident through the relationships that MeritKapital has cemented with large, international buy side funds. Moreover, a regionally specific achievement to note was when MeritKapital acted as a lead manager on the first Kazakh Eurobond issue that was settleable in Kazakh tenge on both euroclear and clearstream platforms. The issuer was KAZTRANSGAS AYMAK JSC, an indirect subsidiary of the sovereign wealth group. Lastly, another innovative development within the high-yield fixed income space, was when the firm acted as a broker of the first structured trade in Bank of Cyprus restricted deposits subsequent to the bank’s bail-in by the Troika. Subsequently, the firm became the biggest proprietary trader of such claims on the island and acted as a liquidity catalyst to the local economy, which, at the time, was strapped by capital controls. The management team is confident that the FCA venture will support MeritKapital’s continued innovative growth.